Mr. Daniel C. McGrogan has over 30 years of experience on matters related to Family Office organization, development, management and administration; family wealth generational transition planning and implementation; family wealth tax planning and administration; family office governance development; family office succession management; direct investment monitoring; and family enterprise planning. 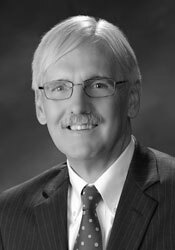 Mr. Daniel C. McGrogan is a Senior Managing Director in HWSC’s Family Office Consulting Division. Prior to HWSC, Mr. McGrogan served as a Regional Manager for The Private Family Office, LLC (PFO), a multi-family office affiliate of Guggenheim Partners, LLC. Since 1996, Mr. McGrogan has worked with a family of four generations, including serving as President for seven years of their full service Single Family Office. While President, he developed and managed a staff of four professionals and four clerical staff members, who supported developing and coordinating financial, investment and estate planning strategies, as well as tax compliance, for fourteen family units. Between 1993 and 1996, he served as a Vice President of Source Capital, Ltd., the predecessor to HWSC, when it was dedicated to serving clients within the AXA/ Equitable/ DLJ complex. During this period of time, Mr. McGrogan worked with Source Capital’s Business Owning Client transaction support team. From 1991 to 1993, he was the Chief Financial Officer of Pittsburgh Steelers Sports, Inc., which is owned by the Rooney Family. From 1986 to 1991, Mr. McGrogan was a Vice President for Finance and Sales Administration with Consolidated Products Systems, Inc. In this position he gained practical financial experience in an operating company environment. From 1980 to 1986, he was a Tax Manager with Arthur Andersen & Co.
Mr. McGrogan received his BBA in Accountancy from the University of Notre Dame and his JD from the University of Pittsburgh School of Law. He is also a Certified Public Accountant (CPA). He is a member of the Allegheny County Bar Association and the Pennsylvania Institutue of Certified Public Accountants. He is also a member of The Edward Frederick Sorin Society's Founder’s Circle at the University of Notre Dame and is Co-Chairman of Law Fellows at The University of Pittsburgh School of Law.